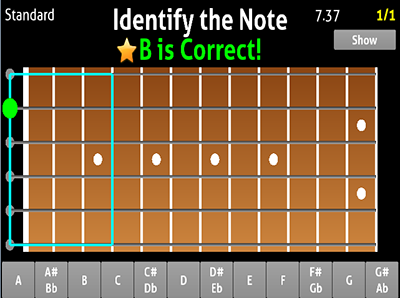 I developed a free Android app to help memorize the notes on the fretboard called "Fretboard Learn". The app has a bunch of game modes which let the user practice matching the name of note to a position on the fretboard (identifying the highlighted note, finding note X on string Y, and finding all X notes on the neck). It's helped me a lot using it while I worked on it. Let me know what you think (are there any features or options I should add?). Thanks.